Japan elected its fifth prime minister in four years in June, with the lower house of parliament selecting finance minister Naoto Kan to take over leadership of the country. Kan served as health minister in the 1990s and as both deputy prime minister and finance minister under his predecessor, Yukio Hatoyama. The selection of Kan may help his party, the Democratic Party of Japan (DOJ), regain the popularity that allowed the party to win control of the lower house of parliament last August and bring an end to the 54 years of almost uninterrupted rule of the Liberal Democratic Party (LDP). Political momentum will be essential for the DOJ as voters go to the polls on July 11 to elect members of the upper house of parliament. 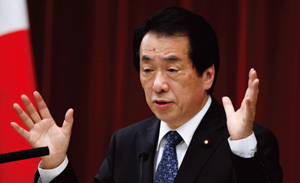 Kan’s selection as prime minister comes after the resignation of fellow DOJ member Yukio Hatoyama, who spent less than nine months in office. A campaign finance scandal undermined Hatoyama’s efforts to fight corruption, while his inability to persuade the US to remove its military base from the island of Okinawa further eroded his support. The unpopular DOJ secretary general and powerful behind-the-scenes political figure Ichiro Ozawa resigned with Hatoyama, boosting public support for the DOJ. Kan has appointed several opponents of Ozawa to his cabinet, further distancing himself from the former party secretary. Kan is focusing strongly on the country’s finances, warning that Japan could face a fiscal crisis similar to that of Greece. 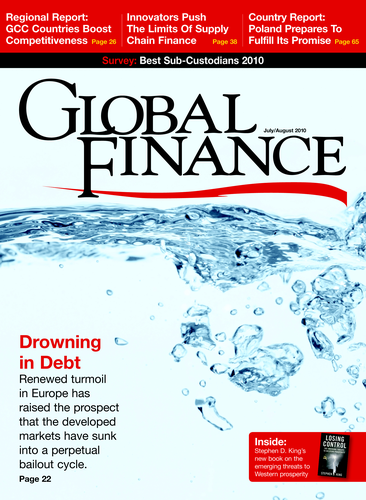 According to the IMF, Japan’s net public debt will reach 122% of GDP in fiscal 2010, the highest among advanced economies. The figure could grow as the population ages, increasing pension payouts and reducing the number of contributing workers. Kan must now boost government revenue and rein in spending without derailing the country’s economic recovery. He has promised to reduce spending and has proposed an increase in the consumption tax, risky promises in the run-up to an election. Early polls indicate, however, that Kan’s selection as prime minister has greatly boosted support for the DOJ.